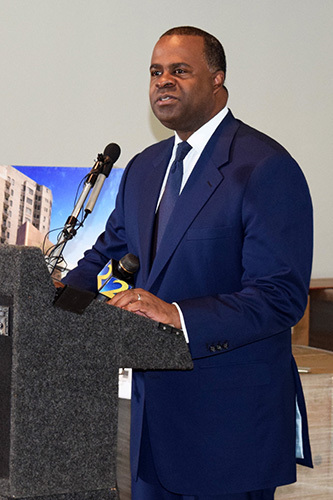 Atlanta Mayor Kasim Reed has been a keen supporter of the Emory Proton Therapy Center dating back to the early days when the project was first conceived. Winship Cancer Institute is about a year away from providing patient services at the new Emory Proton Therapy Center in Midtown Atlanta. The facility contains five treatment rooms and when it is fully operational, over 1,700 patients will be treated every year. It's an important medical facility, especially for the city of Atlanta. 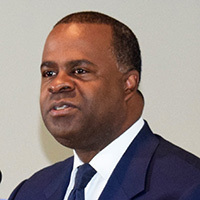 Mayor Kasim Reed has been a keen supporter dating back to the early days when the project was first conceived, through groundbreaking, and recently at the installation of the 90-ton cyclotron, the source of the proton beam. He attended a special ceremony in July to mark the recent construction milestone and said "The Emory Proton Therapy Center will allow the (Winship Cancer Institute) to continue its life-saving work by providing the latest and most advanced technology to fight this deadly disease. When it opens next year, the proton center will also enhance North Avenue's expanding medical technology district which we are very excited about in the city. It will further solidify the city of Atlanta's reputation as a global health care destination." Reed explained, "The Emory Proton Therapy Center will also bring 128 permanent jobs to the area at an average salary in excess of $100,000. That's in addition to the 3,900 direct and indirect jobs that have been created during construction." Mayor Kasim Reed attended a special ceremony for the installation of the 90-ton cyclotron at the Emory Proton Therapy Center.